Milk houses were designed to provide a clean, cool place apart from the milking shed or parlor. Fresh milk comes out of a cow at around 90o F; however, in order to prevent the growth of bacteria that spoils the milk, it must be cooled to below 50o F. In order to do this, milk was carried in buckets or cans to the milk house, where it was placed in a trough of cold water. Early on, milk was taken to a creamery, where the cream was separated from the whole milk. Around 1900, individual machine separators, usually centrifugal, were offered at affordable prices to farmers. At first these were hand operated; later they were driven by gasoline engines or electrical motors. 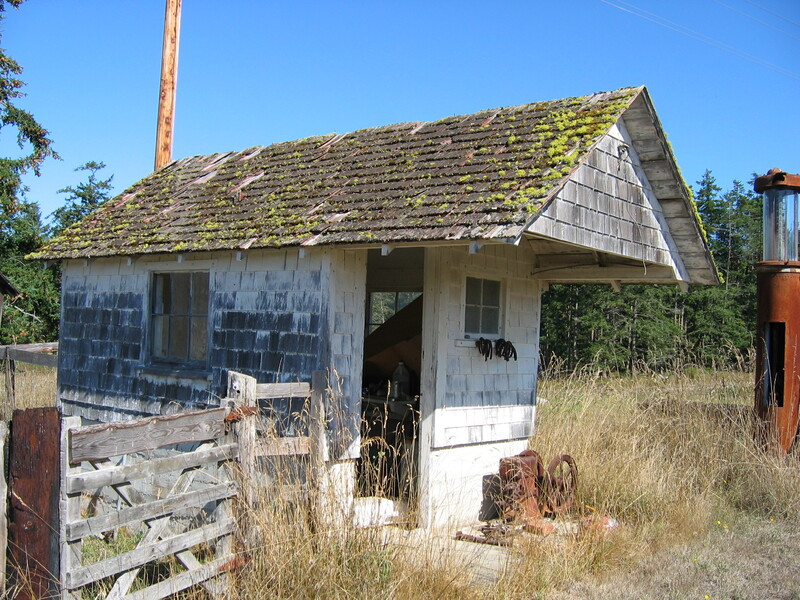 Although farm experts recommended the separation of a milk house from the barn itself for sanitary reasons as early as the 1900s, it was not required until the passage of the 1919 Law. Milk houses were both separate from the barn—usually on the side away from the manure removal area and near a farm lane for convenience of cream pick-up—and close enough so that the milk did not have to be carried too far. Sometimes the milk house was built right next to the barn but separated by a passageway or porch. Ranging from 7 to 12 feet in width and 7 to 16 feet in length, most are 8 by 10 feet, and constructed on concrete stem walls ranging from one to three feet in height. The common construction is 2×4 stud walls with either shiplap or clapboard (and sometimes shingle) siding; gable roofs were first covered with wood shingles and later metal. (Some exceptional milk houses were constructed of concrete block.) On the front, there was sometimes a roof hood or porch extending over the entrance and a poured concrete pad to set the cans on for pickup. Inside, they featured a concrete floor and poured-in-place concrete trough along one wall that was filled with water to keep the 10 gallon cans cool. Some milk houses feature a raised platform for mechanical separators and sinks for washing containers. The law required whitewashing on the interior, a screened door and screened operable windows.